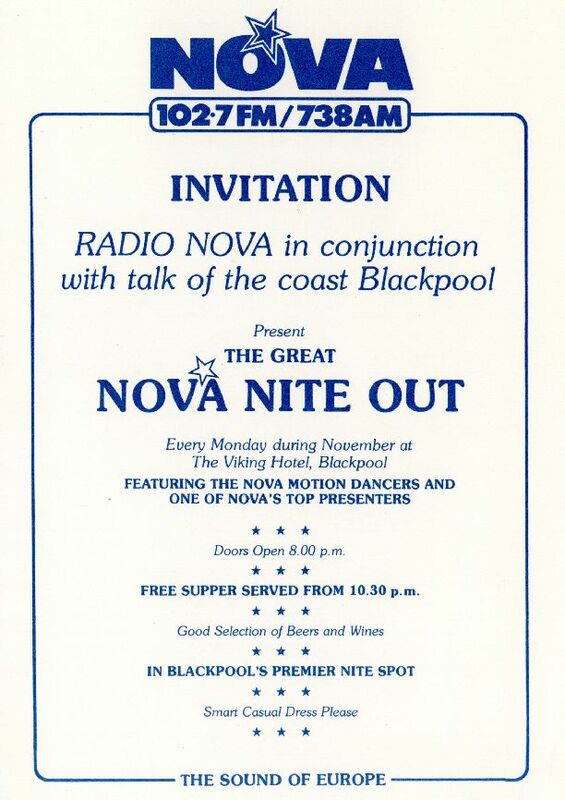 When Radio Nova began broadcasting with 50kW and moved frequency to 738kHz in early 1984 an office was opened in Liverpool. 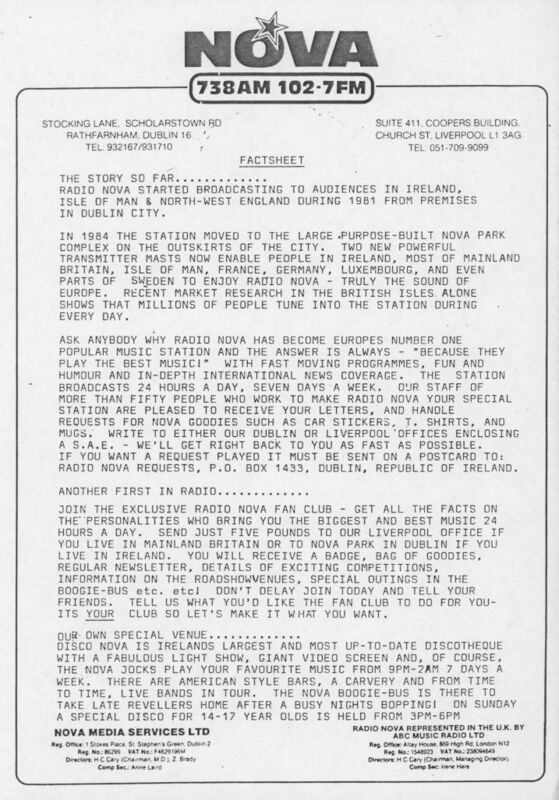 The images below and on the linked pages show some of the items which were produced in an attempt to promote the station, which at the time was trying to capture listeners in the UK. An advertising campaign for the back of Liverpool busses was planned. 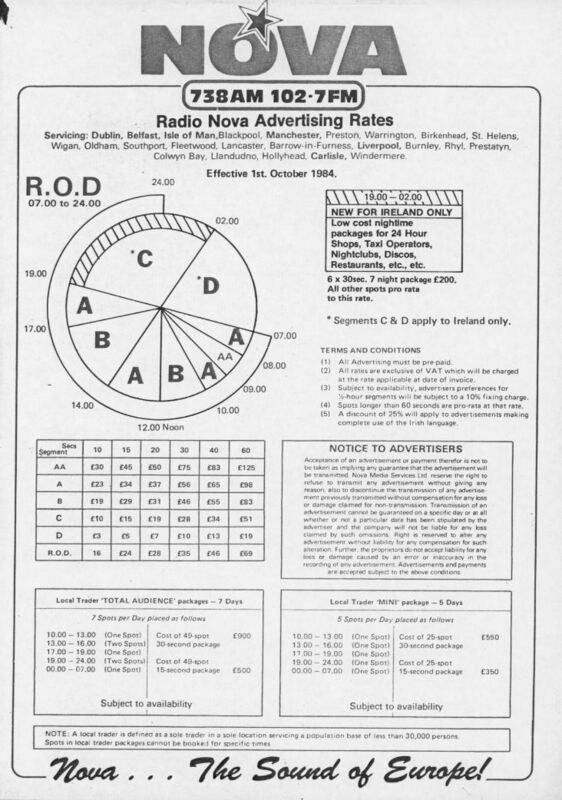 Large stickers advertising 738kHz were printed, but were never used. 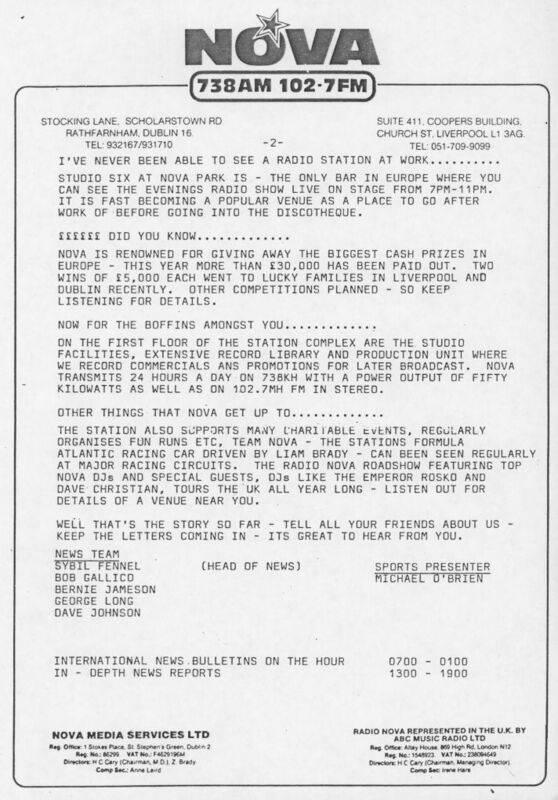 Also produced by the Liverpool Office were station infosheets and ratecards. 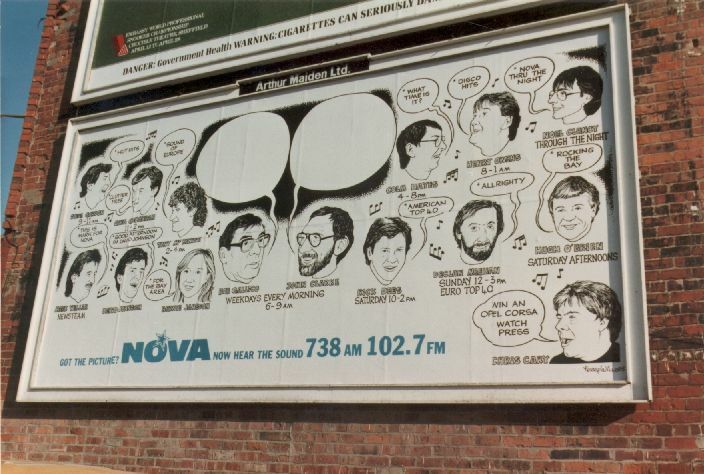 An advertising billboard for Radio Nova. This particular photograph was taken in central Blackpool during November 1985. It was shortly after this that broadcasts to the UK with 50kW on medium wave were abandonned due to lack of advertisers response. However, plans were already underfoot to convert the RCA 50kW transmitter to operate on Long Wave in a further attempt to capture the lucrative market of North West England. First reports of tests on 254kHz were reported at the end of December. Useful signal strengths in the UK were received by early January 1986, and seperate tests with Chris Barry were heard at the end of January. Unfortunately these did not last long, and by February 1986 they had ceased altogether, only weeks before Radio Nova closed down permanently.